Home Contractor's CornerContract Talk	What’s in a name? 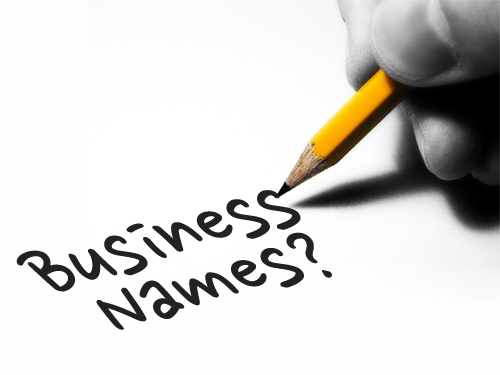 Choosing a name for a business is one of the first big decisions that roofing contractors have to make when setting up their own business. Coming up with a name for a company can also be a very exciting part, as it can give contractors a real sense of pride in the business and service offering they are creating. Like any business, roofing contractors shouldn’t underestimate the power that a company name can have. How many people, for instance, have heard of a business called BackRub? Not many I’d imagine. However, if I said the name Google, I’d be shocked if you hadn’t heard of it. BackRub was in fact the original name for Google before the founders changed the name in 1997, and this brand is now so powerful that it’s in the Oxford English Dictionary! I know this is quite an extreme example, but it does demonstrate that a business name is a valuable asset that can help build your reputation, not just with potential customers, but also with suppliers and when you are trying to attract new recruits for business growth. A catchy and memorable business name can benefit you massively in the long run. Word of mouth is one of the most powerful forms of marketing and attracting new business. You want a name that sticks in the customer’s memory so they recommend you to their friends and family, or via social media recommendation sites. Be careful to avoid business names that include unusual spellings – make sure they are easy to pronounce and remember; simple and straightforward is the basic rule of thumb and the shorter the better. It’s also best to avoid quirky words; it may have worked for Apple and Google, but for a roofing contractor, it’s a risk if people don’t understand what you do or the service you provide. Once you have chosen the name, test it out and get a few opinions. You might love it, but it’s always better to get different perspectives on it. Will your customers – and your staff – be able to relate to it? Do they understand it? What does it mean? These are all important questions to ask friends, family and peers. It’s also important to remember that Companies House apply a number of rules and restrictions on company names which you will need to adhere to, like not having a name that is misleading or offensive. Once you’ve decided on your name, you need to check it’s available. If the company name you want is already being used, it’s best to avoid copying so you are not forced, legally, to change your business name in the future. Simply search online for ‘company name checker’ to access a number of sites that are authorised by Companies House to allow you to check. It’s also good practice to check the name or names you want for your business using a search engine or looking through the Yellow Pages.Once you’ve checked the name is available, if you are going to have a website it’s important your domain name (i.e. URL) is available too. When setting up a domain name it is best to keep it the same as your business name, otherwise it can be confusing. It may seem obvious, but setting up Joe Bloggs Roofing Services Ltd and then registering a website address as www.joeroofing.co.uk will have consequences with potential customers not being able to find you online. In addition, if you are called Joe Bloggs Roofing Services, register both www.joebloggsroofingservices.co.uk and www.joebloggsroofing.co.uk for example, it keeps everything clear and easy to find for your customers. You’ll also have the option of co.uk, .com or .net. For start-up roofing businesses you can choose just one, although if it is not cost prohibitive you have the option of purchasing multiple – this will help when people are searching for you. Once you’ve chosen your company name, you’ll then need to register it. This can be done online or by post via www.gov.uk and you will receive a certification of incorporation when registration is complete, usually within a few weeks. Whatever name you choose, remember that your company name is an important part of your business identity. This is a name that will appear on the side of your vehicle, be on your business cards, your letterhead and your website. More than that though, your company name is also something that identifies your business and the service you provide. Having a name that you and your staff believe in and your customers trust will go a long way in building your reputation. Next month: SIG Roofing offers advice and guidance on your tax and VAT responsibilities.